NPHC is composed of nine historically black fraternities and sororities and the plaza will feature plots that represent each of the nine organizations within the council. SPECIAL TO THE ORACLE. Diversity and representation. Student Body President Moneer Kheireddine’s platform throughout both terms had strong ties to these ideals. Now, after almost 16 months, the National Pan-Hellenic Council (NPHC) Commemorative Plaza that embodies those ideals will be unveiled with a ribbon-cutting ceremony Feb. 1 at 3 p.m.
“When we came into office, our biggest piece was to try to get our higher-up administrators and individuals on our campus with the leadership and the potential to get these types of projects done and on board with our vision and why it was important,” Kheireddine said. NPHC is composed of nine historically black fraternities and sororities and the plaza will feature plots that represent each of the nine organizations within the council. The plots are elevated plaques that, according to NPHC, are used as a symbolic representation of their belonging to college and university campuses across the nation. The plaza that will house the plots is located south of the USF Federal Credit Union. Getting to the ribbon-cutting ceremony wasn’t easy. In fact, there were even attempts to get the plaza finished years ago, according to Kheireddine. 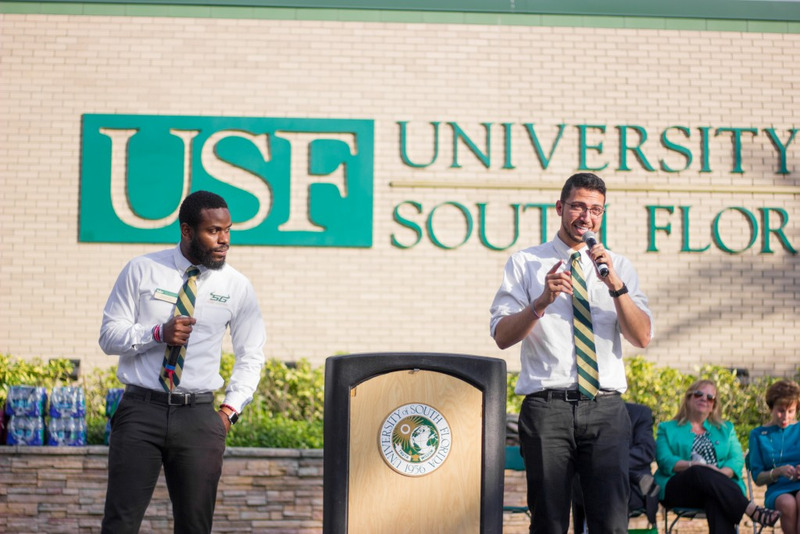 So, Kheireddine and his running mate, Shaquille Kent, worked with Student Government (SG), USF administrators and members of NPHC to bring this representation to campus. Again, there were roadblocks, just as Kheireddine described from years past. 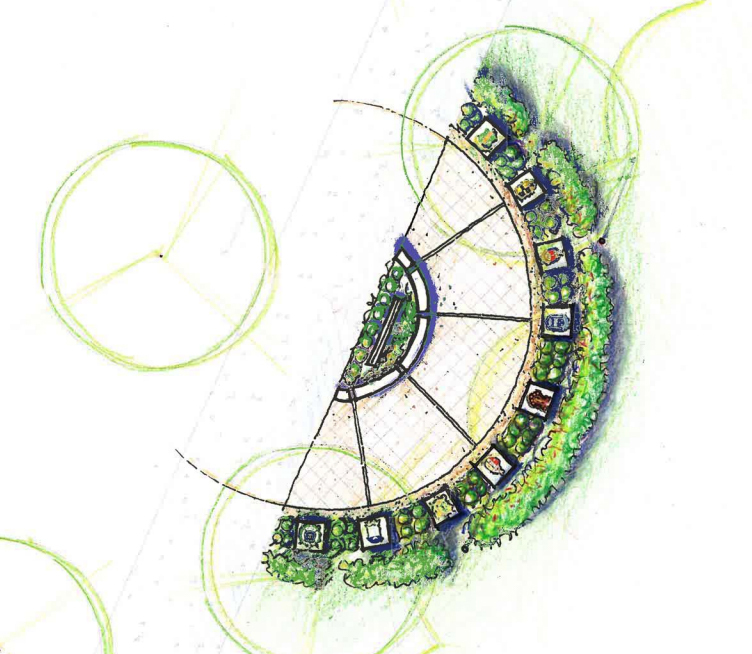 The plaza costs $265,000 and the funding comes from a combination of sources. SG used $113,500 of Activity and Services (A&S) fees — which comes from student tuition -- NPHC was responsible for funding $19,000 and USF administration agreed to match those funds to supplement the cost. The SG Senate approved the request in October 2017, but one USF student who ran against Kheireddine that year filed for an SG court review of the A&S-funded items, claiming the funding violated seven rules. The court hearing was later canceled but briefly halted the process. For Kheireddine, the plaza represents many things. It is one project that he has been able to have a hand in from start to finish during his time serving USF’s students.